You can get the Agenda, papers and so on here and as always you can follow the excitement on the live stream (I'll post the link here when I have it). For the full muted TV and Test Match Special experience you can also follow the fun and games on Twitter. Our old account @GenSyn has now become the official Church of England feed. Our more subjective one can be found at @Synodical and don't forget to search for the #synod hashtag. Sadly, Alastair has had to give up his Synod seat on his elevation to the Archdiaconate, so for the time being it's just me running the show. Contributions from others would be very welcome indeed - contact me via @Synodical if you are interested. So, the General Synod is meeting for an additional session on the 19, 20, 21 November 2012. Papers for the session are available here. - It's not all about women bishops. 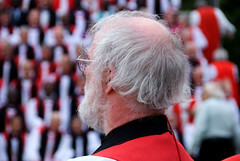 Archbishop Rowan Williams has a number of contributed videos under the title Enough Waiting on the Archbishop of Canterbury's site. Both Archbishop Rowan, and Bishop Justin Welby (Archbishop designate) have spoken of strongly supporting the current measure as the best way forward to support women bishops, whilst giving the strongest level of support for those who cannot in all conscience accept women bishops. There is a video entitled Not Enough Waiting representing a traditionalist view featuring Bishop Lindsay Urwin, from Walsingham. A pro-women bishops lobbying site has been set up under the banner Yes 2 Women Bishops. The A Fair Measure For All site collects a number of traditionalist/conservative articles and links; as does Together Forward. The main debate on women bishops takes place on Tues 20 November. Please pray for all listening and participating in Synod's debates; and for those who will be most dissapointed - whatever the result of the voting is. On ++Rowan's retirement - or Which Jesus? So Jonathan Wynne-Jones got the Sunday Telegraph splash with the news that the Archbishop of Canterbury is to retire in 2012 (perhaps, maybe), 9 years before he needs to. that it had been published before (e.g. in Stephen Bates' Guardian diary). Even so, JW-J has quite a good record on standing up stories that initially looked a bit flimsy. Even if there are bits of this one that are entirely calculable and predictable. The quintessential academic, Dr Williams spent his 2007 sabbatical researching and writing Dostoevsky: Language, Faith and Fiction, and has spent much fruitful time in his career in universities. So it is not hard to surmise that is one avenue he may hope to return to, and especially at Cambridge. He has already held the post for over 8 years, a bit more than Coggan, and (currently) just a bit less than Runcie and Carey. He has one 'Lambeth' under his belt, and may well want to give time for the next ABC to be in post long enough to prepare for the next one. He has had to deal with impossible things before breakfast, such as Women bishops on the home front, and gay clergy & the Covenant on the global scale. His tenure has come under criticism from many fronts. No wonder the conjecture that he may want to go - let alone being pushed. However, there is no leader without criticism; no simple answers to impossible questions. No set time to serve in a post; and nor one to leave it. The next Lambeth is in 2018 - plenty of time before needing to start preparations. That hasn't prevented much virtual ink being spilt on why, or when ++Rowan might go, and even more on who might succeed him, if, let alone when, he decides is the right time to go. Amongst those who have commented, several sagely, are Scott Gunn, Adrian Worsfold, Tim Skellett, Charlie Peer, Nick Baines, and even Mr Catolick has a cautionary video. Could Dr Williams have done otherwise - with his every move being scrutinised, and judged, and found wanting by parties on so many different sides? I'm reminded of the Bishop of London in 1994. +David Hope had supported women's ordination as deacons, but not as priests, and the formulation of the London Plan was the pragmatic response. His resistance to ordaining women as priests himself led to criticisms of traditionalism and misogyny from all the more liberal wings of the church. Then on the day that the London ordination was to take place by the then Bishop Willesden, hidden amongst the pageantry and media frenzy an un-announced - almost un-noticed - tiny procession led the diocesan bishop to his cathedra. I was there, and profoundly moved by the simple humility of the action. Almost un-noticed - but not quite; as then all the more conservative wings of the church also turned against him 'for giving in to the liberals'. And he would have known and expected that. Yet he wanted to be there in person, to as best as he was able support those women to be ordained priest in his diocese and holding his license. For maintaining his own theological position, whilst supporting a view he could not himself hold as best he could, he left himself with few friends - but more integrity. Rowan Williams is criticised by the conservatives for being too liberal; and by the liberals for too regularly giving in to the conservatives. Every now and then a cheer goes up from whichever lobby group feels it is currently winning - whether it is to do with women bishops, or whichever bishopric Jeffrey John should or should not be appointed to. There is a beguiling and challenging simplicity to the W.W.J.D., the What Would Jesus Do bracelets. In any daily - but particularly in any difficult - decision, it reminds the wearer to ask 'What would Jesus do' here. I am sure - in a theologically credible way - that is exactly what Rowan Williams has often done, and thereby sometimes found himself making choices other than his own first option. Meanwhile, some of us will have to make sure that we do not fall in to the trap of making Jesus in to our own image, and expecting him to follow our own favoured choices. What Would Jesus Do? Who's Jesus are we talking about? Her February 2011, and November 2010 diaries are also available there. The Rt Revd. 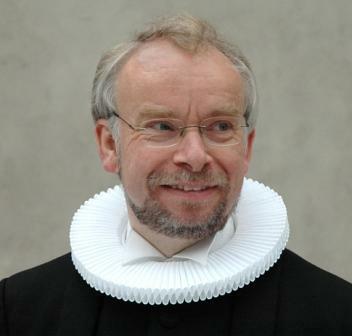 Peter Skov-Jakobsen, the Lutheran Bishop of Copenhagen, which the Church of England is in communion with through the Porvoo Agreement, preached at York Minster on Sunday 10 July with the General Synod present. A Dane having worked in England for a few years, he described himself at one point as a foreigner in both places. The sermon is full of some beautiful images and quotes - please do try and read it. And in a wonderful aside from the printed text towards the end of the sermon, recognised Kingston-upon-Hull as the Venice of the North! It is odd; but as the years pass, I think that these narratives become even more strange – provocative – as if from another world – and yet they liberate a longing to become a person right here and now! Let me draw you into a story in which Jesus will make us look at the world with different eyes. We have to go back to the time before any dogmatic church teachings had been agreed on, but there were still plenty of barriers between people. I don’t know what the problem is with us human beings. Apparently we cannot stop protecting ourselves from one another, from finding security in our own thoughts, behind our own borders, behind our economy and our politics, behind our own culture! And here we meet him again, this man who had such a colossal ability to listen, a man who once talked to a Samaritan – the outsider, the enemy. How dare he! And worse than that, a Samaritan woman! Oh dear. This was the man who, when they dragged before him a woman caught in adultery, told those without sin to cast the first stone - and no one dared. And then he told her to sin no more! He made friends with strangers, tried to make his fellow-Jews to think again, and guided people away from sin. Truly he planted seeds – seeds of reflection, and seeds of action. The Russian writer, Dostoyevsky, was sometimes very critical of western culture, of our attempt to secure ourselves behind our knowledge, behind our technology, and we could add another word, that Dostoyevsky didn’t know: behind our ‘growth’ – are we planting seeds for growth or merely weeds? He thought that we had lost our feeling for Christ. He claimed that we no longer, as he put it, ’asked the heart for advice’. Here at the start of the 21st century we should listen to that criticism. There is no doubt that even only 30 years ago many people thought that religion would soon be a thing of the past – we would outgrow it. Like a scorched plant it would wither and die as we moved into a post-secular existence. There are many things on the move at present in the thoughts and lives of modern man. But we must also acknowledge and accept our history – as well as one another’s histories, for then the walls come tumbling down, as we learn to listen and live alongside our neighbours – including our new, strange, neighbours. Not for one second do I believe that there is any point in going back and finding cover behind the thick walls of dogmatic church teachings. Nor can we further any understanding of faith or the church by hiding behind an anxious defence of the Bible, and outdated view of gender roles or an unrealistic view of freer sexual morals. We must not make faith into a ghetto. We must not withdraw and just sit and talk among ourselves! We must be the seed that falls on fertile ground. not the seed that has no root and lasts only a short time. It is our task to be part of the times and to draw attention to the fact that history has a heart, that there is a fundamental warmth of the heart beneath our existence. I am sure that the good and dependable Yorkshire farmers are surprised at today’s text. Who on earth would sow seed on stony ground or on land with a thin layer of soil? Surely you only sow where you can harvest! The text is a typical example of the church not always believing that Jesus meant what he said and said what he meant, so to help that later generations they quickly sent out an interpretation to a text which in reality is very clear. There is a distinction between the superficial man, the worried man and the attentive man, - this is the stony ground, the field full of weeds – and the good soil! Three types of men! Just consider that what this has brought with it is the history of the church! Just see what condemnations there have been in the air ever since! Just look at the hypocrisy has been enacted. We would hear the story much better if we dared to accept that all three types of soil are found within us ourselves: the disinterested mindset, the superficial, worried mindset, and finally the attentive and empathetic mindset. And yet something has happened in the world. The heavenly, the eternal, the omnipresent qualities are found in language, in music, in painting, in craft, in decisions. They become present, and people’s lives are first and foremost influenced by our belief that God in His generosity gives Himself to all the world. God does not have time to be concerned with the quality of the soil. There is sowing to be done. We are not dealing with a God who desperately wants to change the world before he gives all of Himself. God is not waiting for the world to be ready. He is generous. He is not waiting for the new world to come. He is not looking to see whether people have understood. And suddenly it is as if the truth is close at hand, and heaven is present. Christ has plenty of time. He sees the birds of the sky, he sees the children playing, he sees the lilies of the fields, and he even has time to wait for a lost son. He is the Son of Man who meets people where they are, and not where some would have wanted us to be! He empowers people to break the circles of anger and indignation and revenge so easily understood. The cheerfulness, happiness, and courage which is found in Christ must be found in the quiet and courageous protest. One such protest has stayed with me. The man in question was George Bell who spoke up in the House of Lords during the Second World War against the allied bombardment of the German cities, arguing that no injustice can be equalized by another. This was an important hour in the history of the church, but also of the parliament that we call ”the mother of parliaments”. And again, we can all hear the indignation of love in a cruel time when we hear the story of Erik Mørch, the Danish seaman’s pastor in Hull during the Second World War, whose church St. Nicholas, was obliterated on the night between the 8th and 9th of May 1941. The following morning he went up to the smoking ruin and put up a sign with the words of the Danish theologian, Grundtvig, saying: “We are God’s house and church now, built of living stones”. No swearwords, no curses could express such life. As the church we have one task: to tell the world that God loves His world magnanimously, and that we are constantly looking for this signature of Christ everywhere. Our faith has not been built for us to withdraw from the world. No, we must break into the world and explain that in the faith there is multiplicity present. The whole universe can be embraced in it – even the gracious gift of doubt is part of this universe. It is even more important now that enemies and opponents can look one another in the eye and overcome their enmity. The memory of the resurrection is more important than any human enmity. This is my hope for the world – and for myself. In this country you love to tell a story about a Danish king who was so unbearably arrogant and foolish that he even believed he could stop the tide by sitting at the water’s edge and commanding the waves to withdraw. We Danes had already suffered from a bad press for many years. We had frightened the life out of women and children, and it was not the act of a gentleman when Thorkild the Tall plundered the cathedral in Canterbury and took the archbishop prisoner. I’m sorry about that. As you get to know the Danish Lutheran Church over the coming years, you will encounter a church struggling to take seriously both tradition and contemporary society. Really struggling! Thank you for your warm and friendly welcome and for the honour it is to preach a sermon on this happy occasion. For 9 years this part of England was my home, and that is why one of the first things I had to do after being elected by the Copenhagen congregations as their bishop was to make a pilgrimage to the place where I learnt to be a pastor: To Hull! Kingston-upon-Hull. It goes without saying that I lost my heart to this country, its people, its culture, its traditions, and now I carry the yoke of the pain it is to be a stranger in two places – in this country because I am Danish, and in Denmark because I came to know Great Britain and saw that everything can be painted with a much bigger brush. Deep down, nevertheless, I am happy with this sense of alienation. It gives me a feeling that nothing is simple. Alienation gives me courage, and I live happily with polyphony, and I love variety. The text for Archbishop Rowan’s presidential address is on the Lambeth Palace website. Two weeks ago in Eastern Congo, listening to the experiences of young men and women who had been forced into service with the militias in the civil wars, forced therefore into atrocities done and suffered that don’t bear thinking about, I discovered all over again why the Church mattered. One after another, they kept saying, ‘The Church didn’t abandon us.’ Members of the Church went into the forests to look for them, risked their lives in making contacts, risked their reputations by bringing them back and working to reintegrate them into local communities. There has been some criticism so far - especially in the debate on the Agenda this afternoon - about the fact that our agenda in York this year looks rather dull. Certainly, there is a lack of big splashy topical debates, but despite the fact that it's what gets the coverage, the politics and problems of the day are not really what Synod is about. Its function is primarily a legal one, and there is plenty of that sort of stuff on the agenda. Also on the agenda - and seemingly missed by many - are two examples of another of the less glamorous jobs that Synod does, namely talking about and regulating the way in which we relate to other churches. If you look here and here, you will find documents that describe the current situation with regards to the Anglican Methodist Covenant, and which will inform a debate on Sunday afternoon. While we are still a way from unity, and while the process is moving at what seems to be a snail's pace, there is some progress happening. One piece of good news in a corner of the agenda. Although there is not yet any associated paperwork, it is possible to pick out some themes in the agenda, and a few points where we could be in for some robust debate. The Methodist Covenant is back on the agenda, as is an item entitled "Conversations with the United Reformed Church". For the observer of Synodical process there is the amusing prospect of Synod being asked once again to confirm the appointment of the Chair of the Business Committee. Personally, I think that one might have been left to ride for a while, but we shall see. There are several worthy-looking reports - the substance of which will be revealed in due course. The Church and Education features here, Presence and Engagement is back on the agenda, and there is a report from the Committee for Minority Ethnic Anglican Concerns. At the moment, however, it is the Diocesan Synod motions that look the most interesting. Bradford have one on admission of baptised but unconfirmed adults to Communion, which will no doubt spark some lively debate. London, however, have my pick of the pops, calling for "a thorough review of how the House of Laity of this Synod and the houses of laity of diocesan synods are elected, particular consideration being given to whether the electorate should be some body of persons other than the lay members of deanery synods." I very much hope that they get what they want - this is one turkey who will happily vote for Christmas if it means that the Laity elected to Synod will be more representative and elected in a fashion that actually gives the people in the pews a voice. The synchronicity of a conversation in the parish last week and an aside in the Archbishop of Canterbury's sermon at the start of Tuesday's synod business both included comments on Möbius strips. Some might (cruelly) suggest it is quite an apt metaphor for the General Synod - one dimensional. But I think that misses a myriad of aspects hidden by such one-liners. Today, synod had a presentation on The Wedding Project - it just demonstrated how not only can synod do stuff well (it was superbly presented, with two presenters, photos, videos, vox pop clips, laughs, a few 'ouch' moments), but also covers material that is as important to people outside church doors, as inside them. "England wants more Vicars" was a notable quote. It may have only one edge, or side, but of course a Möbius strip is actually a very tactile and three dimensional object. Synod sometimes surprises us like that too; something of the mysterious, three-dimensional nature of God works his way into even the synodical processes. If someone tries to tell you the synod and it's work is shallow and pointless - one dimensional - then remember the Möbius strip. Synod officially started at 3.00pm today. However, immediately before that meeting there was a meeting of the House of Laity by itself. These don't happen at every session - most business is conducted by Synod as a whole. (The House of Bishops is different - they do meet regularly outside Synod - but that's for expansion elsewhere, perhaps.) This afternoon the House of Laity was invited to co-opt Dr Priscilla Chadwick as a member of the House so that she could be re-appointed as Chair of the Dioceses Commission. The short version of what happened is that we declined to make such a co-option. The longer version is a bit more nuanced. The powers that be have managed to get themselves in a muddle. As the Dioceses Commission is set up, a certain number of its members have also to be members of General Synod, and its Chair has to be selected from among those members. Furthermore the Chair of the Commission is not allowed also to be a member of various other Synod-related bodies. The idea seems to be that the Chair should be someone who has been in some way elected by the wider Church, and also that they should not be someone who is already obviously part of the establishment. So far so good, you might think. Unfortunately, it turned out that none of those from Synod who ended up on the Commission were deemed by the powers that be to be suitable for the post of Chair, and instead Dr Chadwick was suggested for the job. 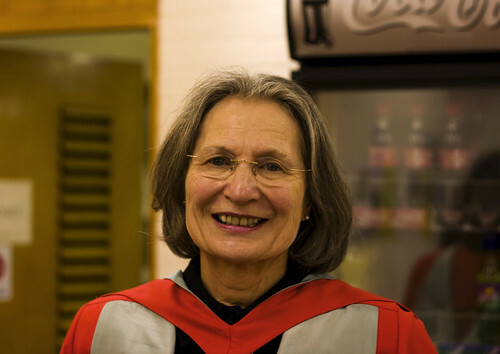 Consequently, in 2008, the House of Laity was asked to co-opt Dr Chadwick so that she could chair what was then the new Commission. Reluctantly, we agreed. Given that we were told that the first co-option was quite essential because Dr. Chadwick was the only person for the job, it came as something of a surprise that we were now asked to make exactly the same co-option. After all, this time Dr. Chadwick could have stood for Synod. She didn't. The point was made in the debate that actually there was a good argument for the Chair of the Commission not to be an elected member from a particular diocese on grounds of impartiality. While this was a sound point, it doesn't alter the fact that a set of procedures exist for the appointment of the members and Chair of the Dioceses Commission, and that the central bureaucracy has attempted to circumvent them because they were not delivering the result that the bureaucracy required. This isn't the right way of doing things, and this time we were not sufficiently convinced by the arguments from expediency to put aside what little democratic legitimacy we possess and roll over when required by the secretariat. and there is also a live audio feed via Premier accessible here. So, what IS on Synod's agenda? Here is synod meeting again in London. The November 2010 session was the usual, brief, inauguration session at the start of a new synod. Once we get to the February session, that's when the real work gets going. Or does it? People have been commenting already that the agenda for this session seems thin. Although the whole week was set aside initially, the synod is actually only meeting from Monday until Wednesday evening. This is a quick glance as to why it might appear reduced; and what some of the more significant items are actually still are. Papers, as usual are available on the General Synod pages of the all new Church of England website (which is apparently no longer a sub-domain of the anglican.org - probably worth a blog post in it's own right at some point...). Firstly, as it is a new synod, not all new posts have been fixed. Synod business is organised by the Business Committee - but that is only just in the process of being elected for the quinquennium. Many other important boards and councils have changed membership too, and this has affected pulling together some of the preparations for this synod. Secondly, synod has sent out to the dioceses for debate 2 major pieces of work - Women Bishops, and the Anglican Communion Covenant. As we await these items to come back to synod for the final stages of the legislation, synod gets a chance to catch it's breath. Monday's business starts with a presentation by The Right Honourable Andrew Mitchell MP, Secretary of State for International Development. It is a number of years since synod was addressed by a member of the government - and a great department for us to be hearing from. The press were asking before Andrew Mitchell's speech for a copy of what he was going to say. They couldn't have one, as he stood to speak passionately, with only the sparsest of notes, of recent visits to East Africa, and seeing the vital work being done by faith communities and others on the ground. @TheChurchMouse asked me to do a guest post for the inauguration of the new General Synod, and it was published a couple of hours before the inauguration service in Westminster Abbey. Synodical government was a visionary initiative. It established definitively the voice of the laity in the governance of our Church, providing a place where laity and clergy, together with the bishops, meet to discern, to express consensus and to legislate. we know that our synodical system is – and probably always will be, like the institution of the Church itself – in need of reform and renewal. English parliamentary processes can have a negative effect, tending to polarisation, parties divided against one another, a culture of winners and losers. Thank goodness the call to the Synod – ‘decide’ – now replaces the former absurd practice of a bewigged lawyer crying ‘divide’ – just when the Synod was testing for consensus, testing for the mind of Christ. - It was almost word-for-word what I had also written. I was encouraged to think that she, and others, share some of the thoughts I have been thinking too. And you cannot get more up-front than the sermon at the inauguration of Synod. The most important thing you do is not the production of Measures, Acts of Synod, or Codes of Practice, important as these are, but the gathering together around the Lord’s Table to receive food for the synodical journeying. Strive always to listen to one another with charity and generosity, and listen deep in the silence to the one who walks with you on the way, so that you too may say, like those at the Council of Jerusalem, ‘It seemed good to the Holy Spirit and to us’. I have already outlined some of the areas and ways I think we could see Synod start to move - I am hoping to see some of these begin to take shape, so that we may all the better fulfil the role that the Queen has reminded us is the calling of Synod. To Covenant, or not to Covenant? Wednesday morning’s headlining agenda item is on whether the Church of England should join in with the Anglican Communion Covenant. Well, who wouldn’t want to be a part of the Anglican Communion? (Only Anglicans of course need bother to answer that question...). Yet, there are some who clearly think the Covenant is not a good thing. Why, and how to vote at this stage? Some provinces then asked that there be some mechanism whereby different provinces can: sign up to be a something to be a part of the Anglican Communion. That something to sign up to, is the proposed Anglican Communion Covenant. However, within the covenant, there are some ‘if this; then there may be a consequence that...’ situations. It is this part of the covenant that some are objecting to, as they feel the Covenant is perhaps being formed in to a stick to beat naughty provinces with. That, some consider is also un-Anglican. Just as there is a Say No to the Covenant lobby, who feel it is restrictive and inhibiting; there are also other provinces who I understand feel that the lines drawn and sanctions outlined are not strong enough. Some want it less restrictive - some want it more so. That in itself implies the Covenant may have something of the ‘middle way’ about it. So how to vote on it? Well, it is clear a number of other provinces are watching what the Church of England does about the Covenant before showing their own hand. We should not consider that the CofE is ‘equal, but more equal’ than others. It seems clear though, that without the CofE signing up to the Covenant, it is difficult to see what its purpose might be. This particular debate is not the General Synod’s final say on the Covenant. Rather, what is proposed today is that the Covenant is then be passed to the dioceses for debate, before coming back to the General Synod for final agreement after that. I have some questions and misgivings about the text; but I certainly want to include the dioceses within the debate. So I will certainly be voting for the motion at this stage. Arriving as a newbie at Synod can be quite frightening. So many people, procedures; standing orders, and members standing to contend with. As part of the induction for new members, a dramatised and light-hearted example of a synod debate, with full commentary, helped members to understand synodical processes. When I first joined synod 5 years ago, I found a similar presentation very helpful, and many new members I have spoken to found this one similarly so. Actually, it was such a useful case-study in debating procedure, that I managed to procure a copy of the script, and the permission to publish it. It may well be an aid to Diocesan Synod members too, especially the Chairs of House of Laity and Clergy. Narrator: Let’s hear how the first speaker gets on. Narrator: Now this is good start – short, sharp, focused and directly to the point. Is Synod Fit For Purpose? The Church Mouse invited me to write a guest post on his famous blog, and you can find it here: http://j.mp/ChMouse. There are some who feel, and I am amongst them, that doing church business in this way may not be the best. The General Synod has served well since its introduction in the 1970s, but is it fit for purpose now? On the inauguration of the new Synod, Mouse is delighted to kick off a conversation about how General Synod could be reformed with a guest post from General Synod number 96, Alastair Cutting. All Aboard For The New Quinquennium! So - here we are again. I'm writing this in my room at the monastery where I have stayed for London Synods for the last 5 years. It's 8.00am, and shortly I will head off to join the security queues to get into Westminster Abbey for the inaugural service of the 8th General Synod of the Church of England. Five years ago I was nervous and excited, and a bit daunted at the prospect of what I had found myself part of. Five years on, it's the same feelings all over again - but not entirely for the same reasons. The nerves are still there, but no longer because I don't know what to expect - instead it's because now I do know what might well be round the corner, and some of the choices that we are going to have to make are nerve-racking indeed. I'm excited, too - but again not so much because I don't know what's coming. Instead it's because I know that I will be meeting old friends once again and making new ones - and also, of course, because I find the process and business of the way organisations like Synod work endlessly fascinating. But I'm also still daunted. Despite the fact that Synod seems (and, lets face it, often is) not particularly relevant to everyday life in the C. of E., there are times when what is said and done here can have far-reaching effects. There have been times over the last five years when I have been acutely aware that particular debates and decisions had the potential to do an enormous amount of damage to the way we relate to each other - both on a personal and an institutional level. It's the same again this time round. No doubt I will end up having more to say about Wednesday's big matter (the Covenant, that is) in places where I can be a little less objective than I feel I ought to be here - but it's enough to say for now that despite the lack of wider focus on it, Wednesday's debate is a very big deal. Members old and new of General Synod have been gathering for the start of this new session. Monday has mainly included background and preliminary work for new members, including a light-hearted practise debate and voting procedures. I have asked about the possibility of sharing the 'script', as it helps people understand the debating processes, and may be of use members of diocesan synods also. Tomorrow starts with the Inauguration Service in Westminster Abbey at 10:40am, followed by the Queen's speech (and briefly one each by the two Archbishops) before lunch. The afternoon kicks of with the Presidential Address from Archbishop Rowan, and then a debate on the Big Society. Outline agenda is available here; and all other papers and agenda here. New members of General Synod are reminded they may join and contribute to this blog by emailing synod @ mac.com with a request to do so. So, that's great for all those who were elected - what about those who weren't? There were hundreds of candidates across the country who stood in the General Synod elections who were not elected. In some places - notably London, there were up to 5 people standing for each place. That's a large attrition rate, often with painful personal implications. So, if you stood, but did not get in, I just wanted to say thank you. Do not be too downhearted! Don't start thinking that is the only indication of people's confidence in you. It is difficult to see (even from the detailed results) the full extent of people's support for you - only three of those I voted for in my top 6 candidates were elected in our clergy election: so be assured that others have faith even in candidates who do not get elected. I encourage you to think about continuing to support the church, and perhaps standing again in future. See what you can learn from those who did get elected this time; from their election addresses, and how they have become known across the diocese. So thanks again for your support by standing; please continue your interest and involvement in your parish, deanery and diocese. And please support those who were elected. Come and sit in on some of the General Synod's coming sessions: in London in Nov & February, and in York in July. All sessions are always open to non-synod members too.